I was overcome with the compassion of the pilot and the co-pilot, Skiles, the Coast Guard, NYS Scuba Police and their helicopter pilot. He named those I mentioned above and the passengers and flight attendants as well. Clint Eastwood directed this movie which got released in September of 2016, written by Todd Komarnicki, based on the autobiography Highest Duty authored by Chesley Sullenberger and Jeffrey Zaslow. This information came from https://en.wikipedia.org/wiki/Sully_(film). The film was produced by Village Roadshow Pictures, Flashlight Films, The Kennedy/Marshall Company and Malpaso Productions and distributed by Warner Bros. Pictures. 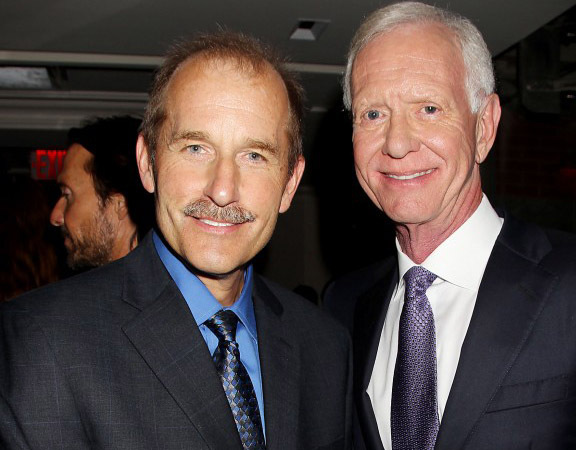 Tom Hanks plays Captain Sullenberger, Aaron Eckhart portrayed First Officer Jeff Skiles, and Laura Linney represented “Sully’s” wife. If you want to watch a show based on a true story and see people taking risks to protect others, this is the film for you. I love seeing the good in mankind. God isn’t mentioned in this movie, but the word “miraculous” comes up a time or two. We enjoyed a pleasant visit with friends and some fine food last night. The lady of the house loves to cook and they both enjoy people. So, she and her husband invited us and another pastor and his wife to their home. The pastor’s wife has a ministry in mind that all six of us are interested in, but we all agreed to pray about it, before beginning. She gave us an introduction to the classes by giving us the book for leaders. Her husband helped set up the video so we could see the people that began this opportunity to bless others. Her husband can help, but his church and the denomination they serve under has increased his role in other churches, so his time is limited. They also hope to use our location since their church is far away from most folks. I liked the fact that we’re going to pray before we decide for sure if we’ll step out and make this commitment. We haven’t seen the host and hostess at their home for a couple of years, so it was nice to talk to them and to get to know the other pastor and his wife better. We’re not in the same denomination, so we don’t run into them very often. I know God wants us to love Him and to walk humbly before Him, and if I can I’ll find the verse that says something to that effect. This verse talks about humility, but it’s not the one I was thinking of: 1Peter_5:5 , (KJV), Likewise, ye younger, submit yourselves unto the elder. Yea, all of you be subject one to another, and be clothed with humility: for God resisteth the proud, and giveth grace to the humble. I had to ask my husband and he found it right away. Micah 6:8, (KJV), He hath shewed thee, O man, what is good; and what doth the LORD require of thee, but to do justly, and to love mercy, and to walk humbly with thy God? Occasionally, He wants us to step outside of our comfort zone to serve others not in our own little world. I guess that’s pretty clear with the story of the Good Samaritan. Luke 10:25, (KJV) And, behold, a certain lawyer stood up, and tempted him, saying, Master, what shall I do to inherit eternal life? The Jews and the Samaritans did not associate with each other. They walked miles out of their way to avoid going through the others’ territory. God’s ways are not our ways, it tells us in the book of Isaiah. Isa_55:8, (KJV), For my thoughts are not your thoughts, neither are your ways my ways, saith the LORD. Isa_55:9 For as the heavens are higher than the earth, so are my ways higher than your ways, and my thoughts than your thoughts. God gets me thinking, that’s for sure. Yet, He makes it clear what He wants, if I’m willing to read His book and figure it out. Today my husband and I drove a significant number of miles to meet friends at Letchworth Park. We had a great visit and we got to see some magnificent views. I took some snapshots before they arrived. The spring photos I took today, and after I spoke to my sister, she sent me some from autumn. I’ll show two more of mine and then I’ll include hers. I love New York State parks. I heard on the radio that NYS just purchased more acreage in the Adirondack Mountains for more State Park lands. My father-in-law used to call Letchworth the Grand Canyon of the East. He visited the Grand Canyon in Arizona; I’ve never had the privilege. What a beautiful planet our Lord created! The account of creation can be found in the earliest chapters of the book of Genesis.